Given the decline in malaria cases, the declaration of the European region is to keep fight it and possible eradicate it in other areas, according to Christoph Benn, of The Global Fund to Fight AIDS, Tuberculosis and Malaria. On the occasion of World Malaria Day, Monday April 25, Benn warned of the risk of slowing down in the progress, especially in Europe and America, against a disease that caused more than 408,000 deaths in 2015, 80% of them in Africa and that 3.2 billion people, almost half the world’s population, are at risk of contracting. He said that there is a particular risk in areas like America, where several countries are entering the pre-elimination phase and, as the number of cases is very low, it is possible that governments can reduce their attention and being less vigilant can make disease regain its threat. According to the latest report on malaria from the World Health Organization (WHO), the number of malaria cases fell by 18% in the last 15 years, going from 262 to 214,000,000; while the death toll rose from 839.000 to 438.000, a decrease of 48%. In Latin America, where cases declined from 1.2 million to 375,000 in the same period, the expert said that Colombia, Venezuela and Brazil have the highest prevalence (72% of total regional cases), especially in the Amazon region; while the Dominican Republic and Ecuador managed to control the disease; and Costa Rica, Paraguay and Argentina are headed for malaria eradication. With these advances “Latin America is expected to eliminate malaria by 2030”, Benn said. The priority should be to “keep the focus on this disease, which kills thousands of people for many years,” he insisted the public health expert, who urged preserve programs and resources to combat malaria despite the emergence of other outbreaks, as recent Ebola in West Africa and of Zika in America. WHO also announced last week that the European region is the first in the world to be declared free of malaria transmission, after reducing the number of indigenous cases of 90.712 in 1995 to zero in 2015. “We cannot let our guard down,” agreed Nedret Emiroglu, director of Communicable Diseases WHO office for Europe, recalling that experience shows that malaria can spread rapidly and, if countries are not vigilantes, a single imported case can lead to its revival. Although it has also shown progress, Benn still see major challenges in Africa, the continent hit the hardest by malaria, reporting 88% of the 214 million cases in 2015, and where access to prevention services and treatment are restricted. 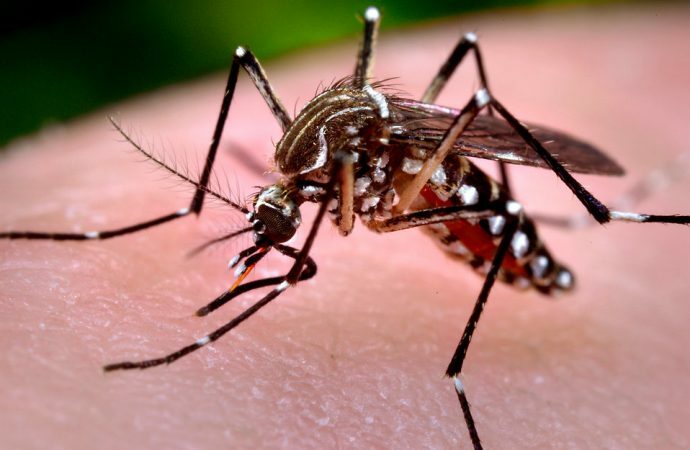 In 2014, about 269 of the 834 million people in sub-Saharan Africa were at risk of malaria living in households without a mosquito net treated with insecticide or could not apply a home fumigation, two of the main tools to avoid the bite of the Anopheles mosquito, vector of the disease. Malaria is caused by a parasite called Plasmodium, which is transmitted through the bite of infected mosquitoes. In the human body, the parasites multiply in the liver and then infect red blood cells. Benn said that there are excellent tools and are most effective prevention nets but the challenge is that those most affected poor people living in remote locations and minorities cannot access them. And the treatments, including WHO recommends combined artemisinin-based which are very effective, but it is necessary if one “can do a test quickly and catch it early,” which is complicated in some regions lamented the expert from the Global Fund. More than half of international funding dedicated to malaria is channeled through the Global Fund to Fight AIDS, tuberculosis and malaria and is intended for the distribution of bed nets, spraying of homes and the provision of rapid tests, antimalarial medications and education. It is estimated that some 100,000 million dollars will be needed to eliminate malaria by 2030, according to WHO.